Register now for the 3-day Macquarie Supply Chain Executive Program, 28-30 May 2008. 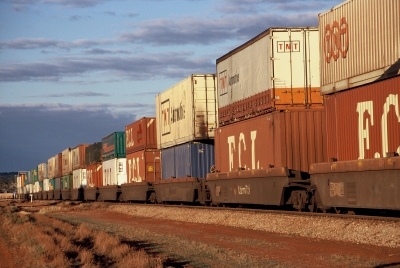 This is a collaborative initiative by Macquarie Graduate School of Management, CSIRO and the Logistics Association of Australia, with international logistics and supply chain experts including Lew Roberts (USA), Professor John Bartholdi (USA), Professor John Gattorna (Australia) and Professor Martin Christopher (UK). CSIRO and the Logistics Association of Australia are proud to offer this three day programme featuring Lew Roberts, who has worked with major companies world wide to provide consulting and management development in the supply chain field, and Professor John Bartholdi, Research Director of the Supply Chain and Logistics Institute at the Georgia Institute of Technology, USA. This international programme – road-tested over several years internationally – is enhanced with local expertise from the University of Wollongong and CSIRO. The programme is specifically designed for senior managers involved in the overall management of the supply chain and/or key elements of the supply chain, preferably drawn from multiple disciplines inside the enterprise. This includes managers/directors in business development, procurement, production, logistics, marketing and engineering, as well as managing directors and management consultants. Logistics and Supply Chain specialists are the custodians of the ‘supply pipeline’ and associated infrastructure, yet everyone in the firm contributes to the workings of the firm’s supply chains on a day-to-day basis. – Sustaining competitive advantage through optimally managing variability, visibility, velocity, risk and total cost. – Structuring and managing primary logistics functions (inventory, warehousing and transportation). – Adaptive and effective operations management, materials management and strategic sourcing. – Emerging supply chain technologies as part of integrated inter-enterprise processes. – leveraging the supply chain to improve customer service and add value. John Bartholdi is a Professor in the School of Industrial and Systems Engineering at the Georgia Institute of Technology, where he is Research Director of The Supply Chain and Logistics Institute and holds the Manhattan Associates Chair of Supply Chain Management. He teaches courses in supply chain issues at undergraduate and graduate levels as well as in Georgia Tech’s programme of industry short courses. Bartholdi’s research centers on problems of warehousing and distribution. His work has been supported by, among others, the Defense Logistics Agency, the Office of Naval Research, IBM, Pratt & Whitney, Ford Motor Company, The Home Depot and Manhattan Associates. Lew Roberts is president and founder of L. Roberts & Associates Inc., a USA based firm providing professional consulting and management development services. His consulting and management development career over the past 19 years has included working with Ryder, UPS, Caliber Logistics, Coca-Cola, De Beers, Mercedes Benz and Nissan. Lew lectures in Supply Chain Strategy Development at the National University of Singapore as well as the Executive Masters in International Logistics (EMIL) Programme run by the Georgia Institute of Technology. Professor Aditya Ghose heads the Decision Systems Lab at the University of Wollongong. His research is funded by the Australian Research Council, the Canadian Natural Sciences and Engineering Research Council, the Japanese Institute for Advanced IT, various Australian government agencies as well as companies such as BlueScope Steel and CSC. His current research involves supply chain management and optimization, constraint programming, business process management and intelligent agent technology. He is a senior technical advisor to several start-up companies in the areas of supply chain management and business process management, both in Australia and North America. Further Information: See www.cmis.csiro.au/asn/sc-course/ or contact Dr Simon Dunstall [Simon.Dunstall@csiro.au] at CSIRO Mathematical and Information Sciences.